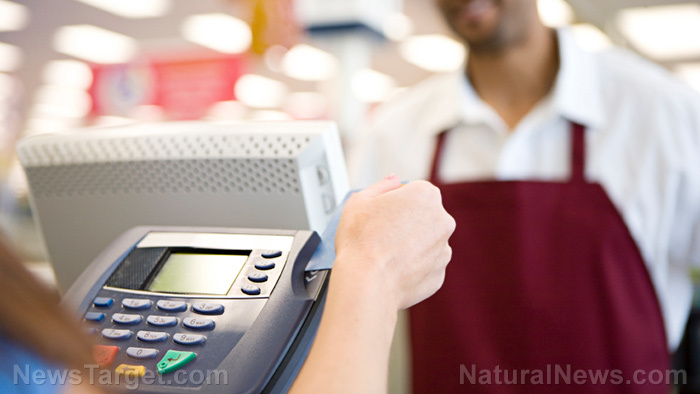 (Natural News) In line with Amazon’s announcement of plans to acquire Whole Foods for $13.7 billion, a survey carried out by ChargeItSpot revealed that a vast majority of consumers would like Amazon to add a “cashier-free checkout” should the acquisition take place. The poll also showed that consumers wanted Amazon to feature “lower prices” and “in-store pickup” for Amazon purchases. “When Amazon announced they would be expanding into the grocery space, shoppers were interested to see what new features would be implemented in these stores. Our survey found that shoppers want the Amazon-Whole Foods merger to upgrade the grocery store experience with additions of useful technology,” ChargeItSpot‘s CEO Doug Baldasare told CNBC.com. Amazon has previously announced that it has no current plans of automating the cashier jobs in Whole Foods stores following its acquisition. A company spokesperson also said that the Seattle-based web giant has no plans of laying off the cashiers. However, speculations continue to plague the deal as mounting reports have previously shown that automation is set to take over half of all American jobs in the near future. ZipRecruiter CEO Ian Siegel quipped that the deal between Amazon and Whole Foods will speed up the process of replacing human employees with technology should it push through. According to Siegel, the supermarket industry already uses self-checkout stations and that Amazon has demonstrated that the use of even more advanced technology could be easily reached. The job marketplace firm also noted that job postings for grocery positions such as cashiers declined by 24 percent in the second quarter of 2017 compared with last year, suggesting an apparently decreasing demand of such services. “I think what we’re seeing here is one more chapter in a rapid transformation of the industry. As we become more productive as human beings, and we divide labor properly … the low-skill repetitive kinds of things that can be done by machines are done, [and] that frees up human beings to do the higher things. [This trend] ought to make [retail employees] more productive and ought to create better jobs,” said National Retail Federation President Matthew Shay. The concerns involving Amazon’s acquisition plans were only the most recent in a slew of job automation dilemmas lurking within the U.S. workforce. In fact, data from the Bureau of Labor Statistics (BLS) revealed that while there were 867,920 grocery cashiers across the country in 2016, the U.S. economy has already laid off about 71,000 total retail jobs since the start of 2017. According to the BLS, technological advancements such as self-service checkout and online sales were key contributors to reduced need for cashiers. Still according to the report, the country’s automation adoption may greatly affect the retail industry among others. The experts also stressed that the projected rate for U.S. job losses far exceeds that of other progressive nations such as the U.K., Germany, and Japan.